im making a huge overhaul to the modern texture pack it will be from SotN to beyond as far as textures go so no more retro items everything is going to be more soft and new....and animated OAO! Also if you have any suggestions from what you see here or any idea for the Castlevania texture pack go ahead and post the idea i will include it in just for you :3! 1 other thing...why does a shovel look like a sword? I'm familiar with some Castlevania stuff on the N64, but not the 8-bit stuff, just the 3d stuff. Though, I do like horror/vampire themed stuff, so cool! 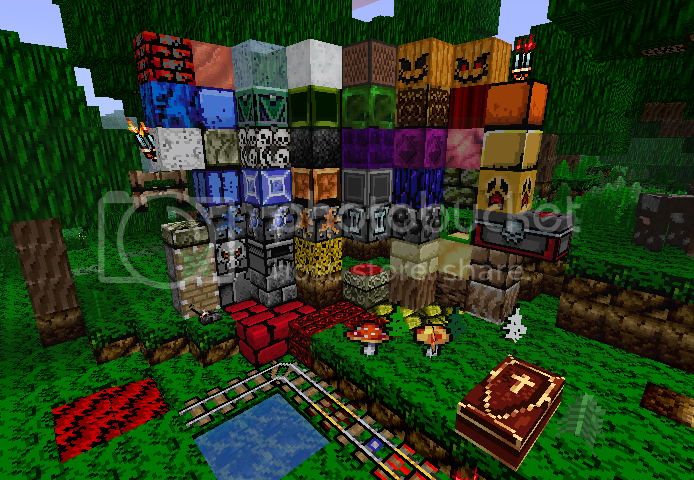 My Planet Minecraft Skin Gallery! Other stuff can be found on the Skindex under "shoeberrypie"
premium wood? i have not heard of that one is it a mod? 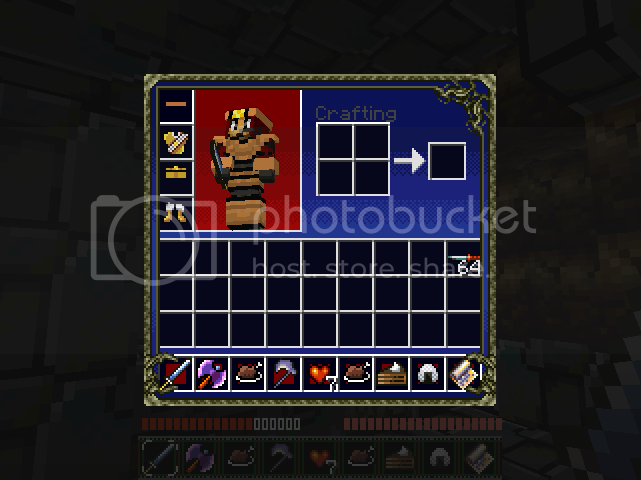 oh right im going to add new paintings on the next update the only reason why they are so repetitive is because of a custom map i was doing but now that im not continuing the Castlevania custom map, ill fix those paintings, also giving you a minecraft forum version of a thumbs up XD, these are great suggestion im glad i am at least making this for more than just myself, i hope you love the new download upgrades :3! the one series of games for the NES to the current that follows a relative storyline. Unlike say Zelda, whose storyline is broken to hell. Anyway nice pack you got going here. actuslly i was thinking about doing the skins, you see each armor set is a belmont so i was thinking to make a skin where its a dude shirtless with some black boxers, and as you put on the armor you would look like a belmont, but then i thought that would be to much like arthur from the ghouls and ghost series hehe XD and aww man sorry for late replying since you already did both of them XDD can i see them :3? i will add them in the pack im already going to add your name for giving me support thank you Tolle well im off to work when i come back ill post the new upgraded link with paintings fully updated 8D! 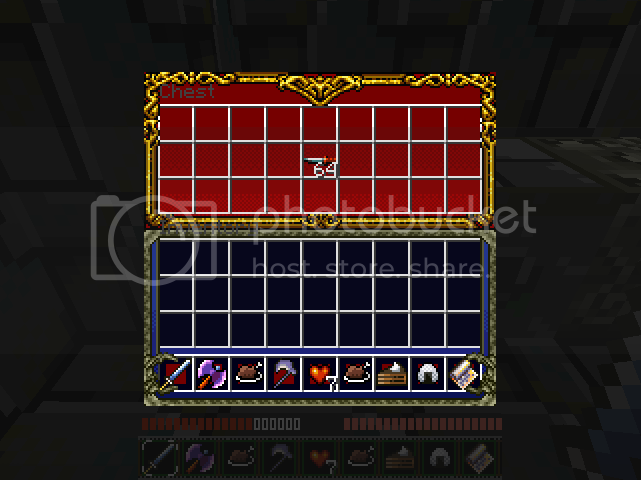 hehe someone else did ask me why in the heck shovels are weapons, i dunno i just liked hitting mobs with them, but i guess thats not a good idea, for now enjoy the new updates as im going to make Castlevania-like shovels for this texture pack :3 and yes now we have paintings 8D! Awesome :biggrin.gif:, also is it possible making the holy cross shoting holy crosses? or does the arrow png not allows it?, but finally, no more bows that shots small super powered knives that kills skeletons in one hit 8D. Also i made some fixes on the skins will upload them soon. oh hehe dont worry about that im currently making skeletons into dark priest, you know kinda like Shaft, this will make more sense for them to be using the cross for their evil deeds D:! If anything is wrong please tell me, cant improve them mutch more :C, next up will be Leon Belmont. 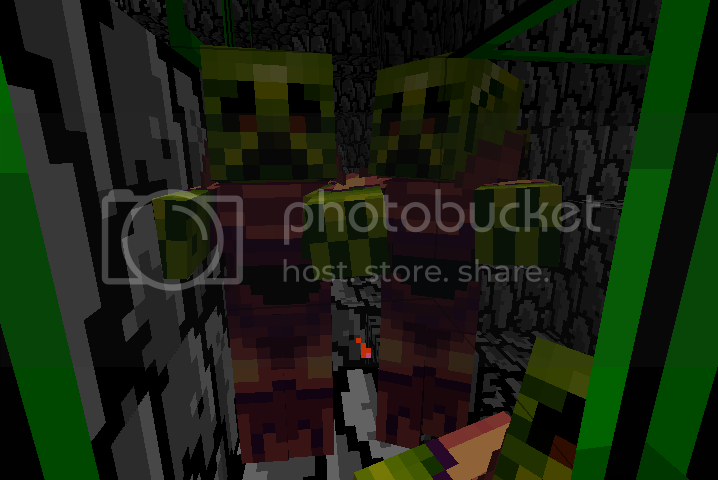 I reapeat if u see anything wrong in the skins tell me and i will fix it. Whoo 100+ downloads 8D! 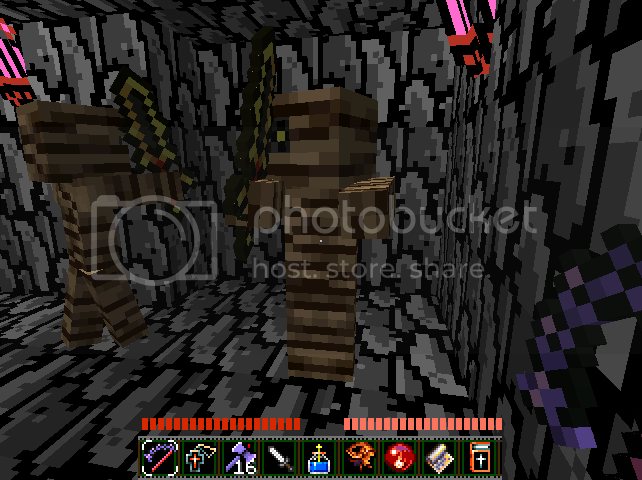 as a special celebration all Hostile mobs have been skin editten into a castlevania enemy >:3, Skelingtons are now Dark priest, and spiders are Robot androids OAO!